The Minnesota Legislature adjourned late Wednesday with plans to return Thursday at noon to complete unfinished business, namely a global budget agreement. As of last night, the House passed taxes, education and transportation. The Senate passed taxes and pre-emption—which prevents cities from enacting their own labor standards and includes pensions changes, but not TRA. Gov. Mark Dayton promised to veto this bill. See a 1-minute summary of significant E-12 provisions. Dig into the details. 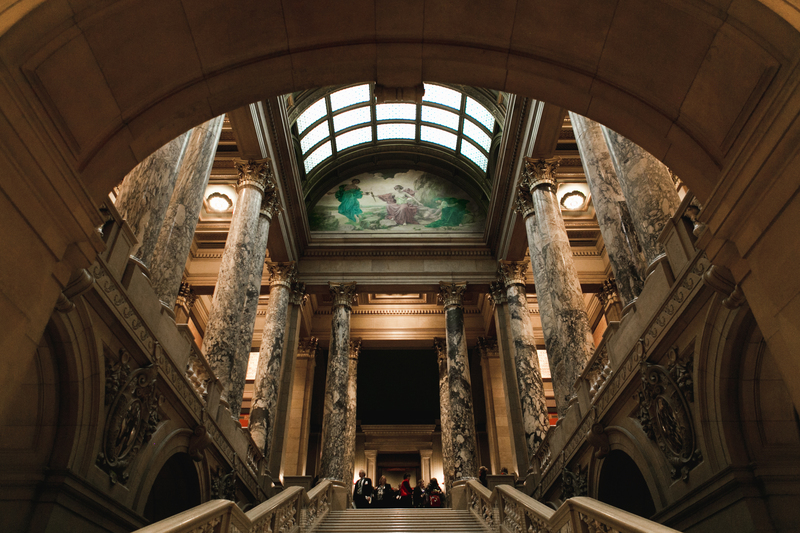 With your help, MREA tirelessly advocated for key funding, tax and policy provisions in these bills. Our constant presence and persistence on your behalf at the Capitol are critical to our legislative advocacy and progress. See what we’ve accomplished. It’s been a whirlwind 10 days since Minnesota Gov. Mark Dayton and legislative leaders really got serious about negotiating a global budget deal. When the regular session expired on Monday, the vast majority of their work was unfinished and they made a commitment to wrap up the major bills by 7am Wednesday morning. That didn’t happen either. Rank and file DFLers saw the details of the budget bills late Tuesday night and were furious with what had been negotiated. They “dropped the plow” as we like to say around here and dragged the debate on the tax bill well into Wednesday morning. The House and Senate started to make progress by Wednesday afternoon only to be stymied in the evening by absent members in the Senate that prevented the majority from having the necessary minimum of 34 votes to pass bills. Instead, they agreed to adjourn until noon on Thursday when everyone will be present. They should be able to push the pile of tax and budget legislation to the Governor’s desk. The unions were out in full force Wednesday chanting “shut it down” and “veto everything.” The E-12 bill, for example, contains language requiring school districts and teacher bargaining groups to negotiate unrequested leave of absence plans. The plans may or may not include seniority as a factor. This is a different version that LIFO that was around a few years ago. The new version is being referred to as “LIFO light.” Great taste or less filling, to be determined. The global agreement spends down almost the entire $2 billion of the projected tails surplus for fiscal years 2020-21. The budget numbers will definitely change between now and the November forecast in 2018, but the global deal is a bit worrisome to those of us who rely on a healthy state general fund (E-12). We’ll have lots to talk about this summer and fall as we’re on the road visiting with you. Until then, have a great Memorial Day weekend and best wishes as you close the school year.